We collected the majority of metadata history records for Demopush.myshopify.com. 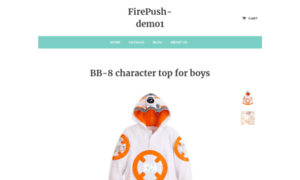 Demo Push Myshopify has a poor description which rather negatively influences the efficiency of search engines index and hence worsens positions of the domain. Demopush.myshopify used to have no keywords and description in 2016 which is the starting point of our analysis, but description was added on June 16, 2017.